Classroom Readings: Dori Hoch will read one of her books to specific grade levels at your school. Her Bunny Brother books work well with pre-school through second grade. Informal settings of up to two classes per reading work well, allowing from 25-30 minutes per group. Depending on the time available, Hoch will select students to dramatize scenes from the story after the reading. *-*Hoch requires that a book order form be sent home with students prior to her visit. Book orders will be filled and signed the day of the readings. 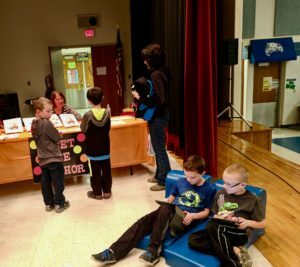 Dori Hoch is a retired teacher and reading specialist with over thirty years of teaching and public speaking background with elementary students. 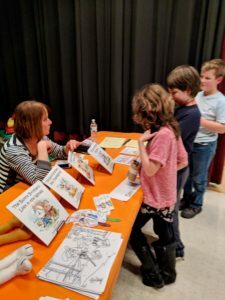 She is a lively presenter and shares her passion for writing with the students by highlighting the process she uses to create and write her Bunny Brother books. In her 45-50 minute presentation, the author explains how she created her fictional characters, Bobby and Benjamin Bunny. Students will learn about the making of believable characters who struggle with problems and how to solve them. Working closely with illustrator Jane Wolfgang, the author gives examples of Wolfgang’s whimsical drawings that enhance the story and stresses the collaboration that is needed between the author and illustrator to bring her Bunny Brothers to life. The presentation ends with a reading one of the Bunny Brother books, predetermined by the host school. Following the reading, there will be a time for questions. **Hoch requires that a book order form be sent home with students prior to her visit. Book orders will be filled and signed the day of the readings. 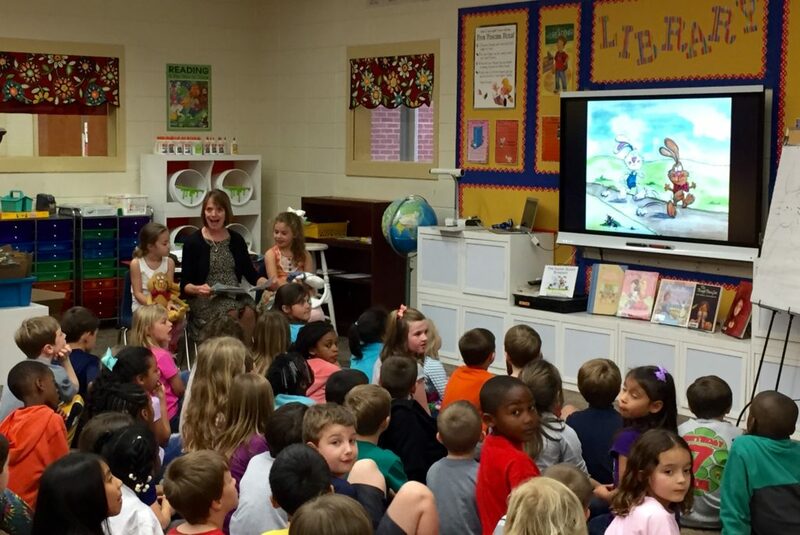 Dori Hoch did a great job of keeping our kindergartner and first grade students engaged last November when she read her book, “The Bunny Brothers First Thanksgiving” to two combined classes at a time. With her own teaching experience, she was able to build background knowledge and frequently stopped at key points to encourage participation using questions that involved the use of context clues, prediction, and connections. Hoch also shared how she got the idea for her stories and challenged our students to use their imaginations to write their very own stories. After her visit, our teachers shared that many of the students were inspired to write their own stories. What a lot of mileage for a 30 minute author visit and reading! We can’t wait to have her come again to share another Bunny Brother adventure! Dori was very engaging with our students. As a former teacher, she knew exactly how to interact with the students, get their attention and remain in control as they asked questions and got excited answering her questions. We even surprised one of the kindergarten classes by sitting with their table at lunch and eating with them. Dori was very accommodating to our school’s schedule, and the visit was a pleasant one. I am looking forward to her coming for another visit in the future to bring her Brother Bunny Series to a new set of students. 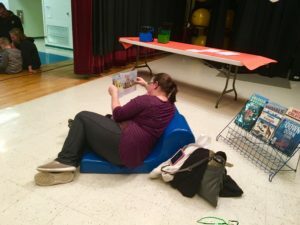 Here a parent is reading Lost in the Woods to her daughter. She loved it! Students telling Dori Hoch their ideas for her next Bunny Brothers book. Fourteen students gave her ideas that night! 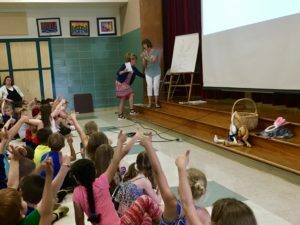 Illustrator Jane Wolfgang and Dori Hoch at Brecknock Elementary School for an Author/Illustrator Assembly on June 5, 2018.